Many senior citizens are on multiple medications. All of these prescriptions can really cause balance issues, making walking a dangerous activity. Keep an eye on your loved one to see if they need assistance walking. If so, consider having them try using a cane or a walker. Some seniors prefer canes or walking sticks because they don't need a lot of help, but can still have the device there when they need it. Others with more serious balance troubles do well with walkers as they offer more stability. Plus, some walkers offer a seat where your loved one can rest if he or she becomes winded while walking around. Walkers with wheels and seats may also be used to push the individual where he or she is going if necessary. According to Harvard University, exercise is an incredibly important way for seniors to stay mobile. Your older family member or friend may be afraid to exercise because he or she doesn't want to injure him or herself. Consider seeing if there are exercise classes for older people near you. Many senior living communities, gyms and community centers offer water-based classes which allow older people to get moving and lubricate their joints without the pull of gravity. Everything from swimming to slow stretches can improve an older person's mobility and make them safer overall. Not all seniors can safely drive. Many Edgewood communities, from independent living to memory care, have the added benefit of transportation. We provide safe and timely transport from our locations to doctors, stores and churches. Our residents appreciate this freedom, and while they are no longer behind the wheel, they can still go where they need to. 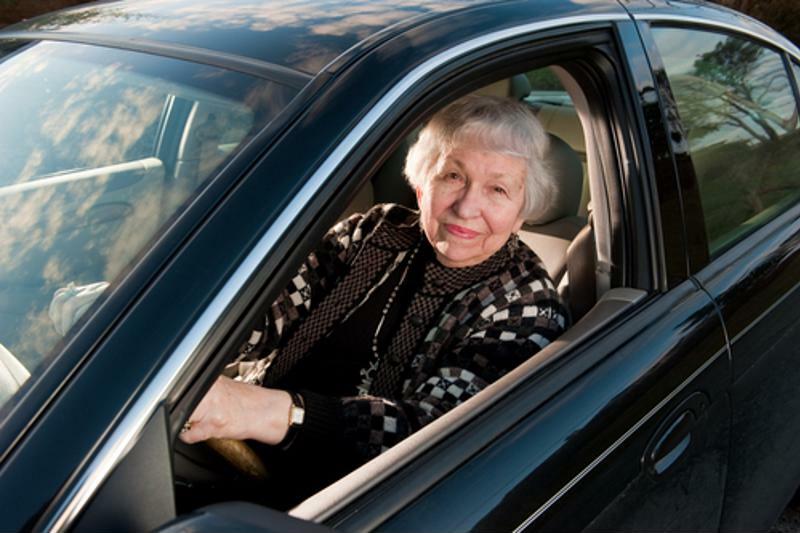 Older people don't just lose their mobility in a bodily way – they often can no longer drive. As many individuals age, their eyesight becomes impaired and eventually may hinder them from operating a vehicle. Other conditions like dizziness or vertigo can also interfere with a person's ability to be a safe driver. If your loved one no longer drives, he or she will need assistance getting to and from the grocery store, church and doctors appointments, as well as other gatherings. If you can, be there to drive the senior to these important appointments and events. You'll have peace of mind knowing your family member or friend isn't endangering themselves and others while driving, and your loved one will appreciate your help.